The Tualatin Hotel Shuttle in front of the Hotel in Hillsboro, Oregon. 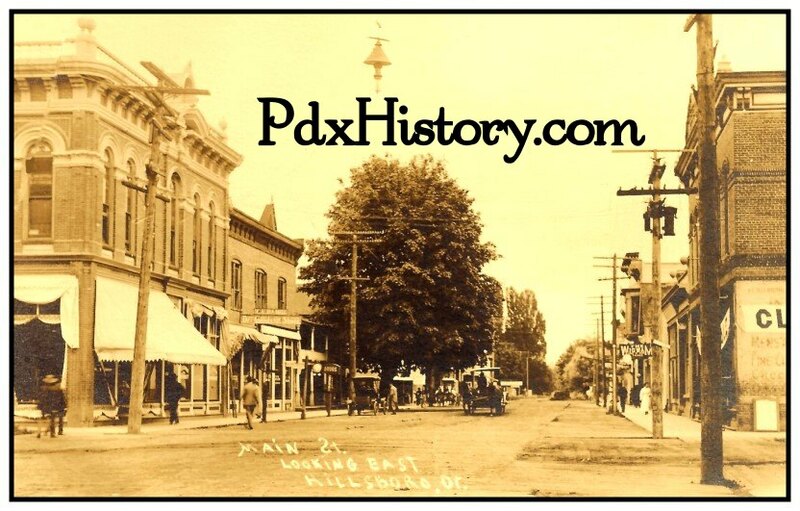 A view of Main Street in Hillsboro, Oregon circa 1906. Before the arrival of European-American settlers, the Atfalati tribe of the Kalapuya lived in the Tualatin Valley near the later site of Hillsboro. The climate, moderated by the Pacific Ocean, helped make the region suitable for fishing, hunting, food gathering, and agriculture. Settlers founded a community here in 1842, later named after David Hill, an Oregon politician. Transportation by riverboat on the Tualatin River was part of Hillsboro's settler economy. 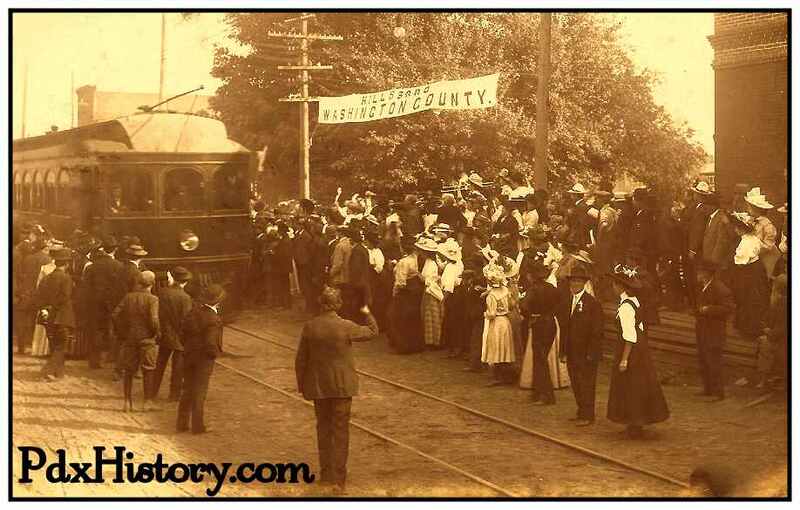 A railroad reached the area in the early 1870s and an interurban electric railway about four decades later. These railways, as well as highways, aided the slow growth of the city to about 2,000 people by 1910 and about 5,000 by 1950. The first people of the Tualatin Valley were the Atfalati or Tualaty tribe of the Kalapuya, who inhabited the region for up to 10,000 years before white settlers arrived. The valley consisted of open grassland maintained through annual burning by the Atfalati, with scattered groves of trees along the streams. The Kalapuya moved from place to place in good weather to fish and hunt and to gather nuts, seeds, roots, and berries. Important foods included camas and wapato, and the Atfalati traded for salmon from Chinookan tribes near Willamette Falls on the Willamette River. During the winter, they lived in longhouses in settled villages, some near what became Hillsboro and Beaverton. Their population was greatly reduced after contact in the late 18th century with Europeans, who carried smallpox, syphilis, and malaria. Of the original population of 1,000 to 2,000 Atfalati reported in 1780, only 65 remained in 1851. In 1855, the U.S. government sent the survivors to the Grande Ronde reservation further west. A birdseye view of Hillsboro, Oregon on September 28, 1908. The European-American community was founded by David Hill, Isaiah Kelsey, and Richard Williams, who arrived in the Tualatin Valley in 1841, followed by six more pioneers in 1842. The locality went by two other names—East Tualatin Plains and Columbia—before it was named "Hillsborough" in February 1850 in honor of Hill, when he sold part of his land claim to the county. On February 5, 1850, commissioners chosen by the territorial legislature selected the community to be the seat of the county government. Hill was to be paid $200 for his land after plots had been sold for the town site, but he died before this occurred, and his widow Lucinda received the funds. The town's name was later simplified to Hillsboro. A log cabin was built in 1853 to serve as the community's first school, which opened in October 1854. Riverboats provided transportation to Hillsboro as early as 1867 when the side-wheel steamer Yamhill worked on the Tualatin River. A brick building was constructed in 1852 to house the county government, followed by a brick courthouse in 1873. In 1891, the courthouse was remodeled and a clock tower was added and the building was expanded with an annex in 1912. A new courthouse replaced the brick structure in 1928. The last major remodel of the 1928 structure occurred in 1972, when the Justice Services Building was built and incorporated into the existing building. The city's first fire department was a hook and ladder company organized in 1880 by the board of trustees, (now city council). A drinking water and electricity distribution system added in 1892–93 gave the town three fire hydrants and minimal street lighting. In 1871, the Oregon and California Railroad line was extended to the area, but it ran just south of town because the city did not want to give the railroad land in exchange for the rail connection. 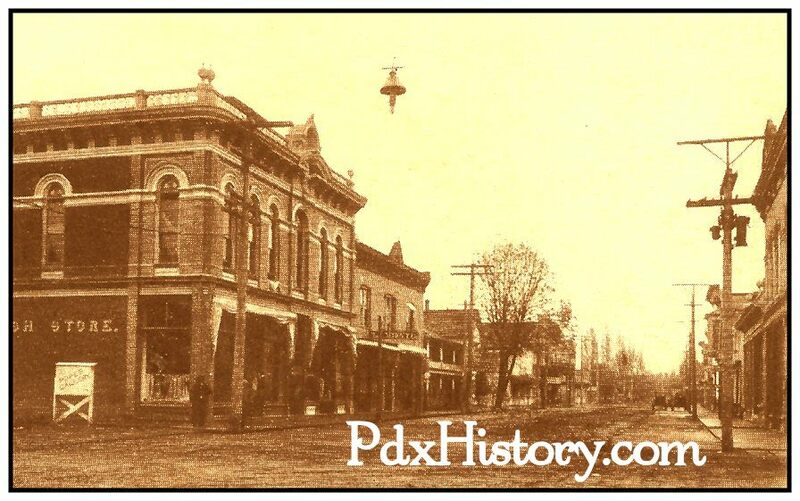 Hillsboro was incorporated as the Town of Hillsboro on October 19, 1876, by the Oregon Legislature. The first mayor was A. Luelling, who took office on December 8, 1876, and served a one-year term. Notable later mayors included Congressman Thomas H. Tongue (1882 and 1886) and state senator William D. Hare (1885). 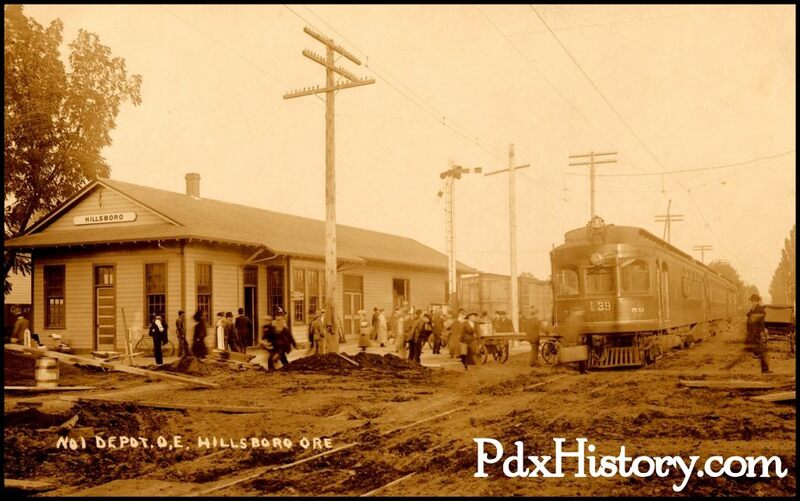 The Oregon Electric Railway built a new depot in Hillsboro in 1908. 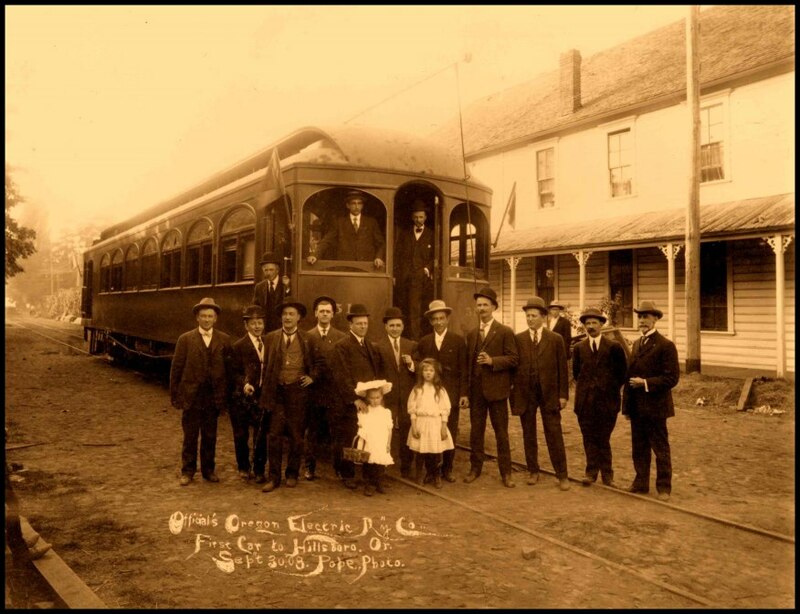 The newly-opened Oregon Electric Railway in Hillsboro in 1908. 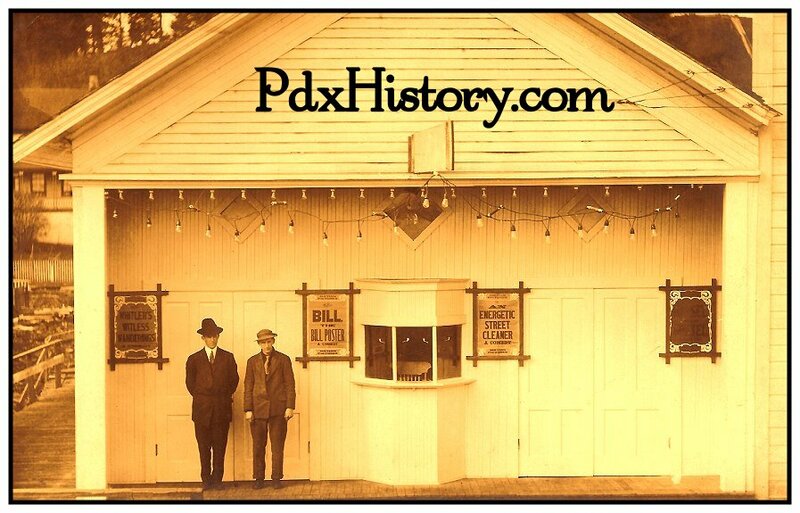 On September 30, 1908, five thousand people gathered in Hillsboro as the Oregon Electric Railway opened a connection between the city and Portland with an interurban electric rail line, the first to reach the community. 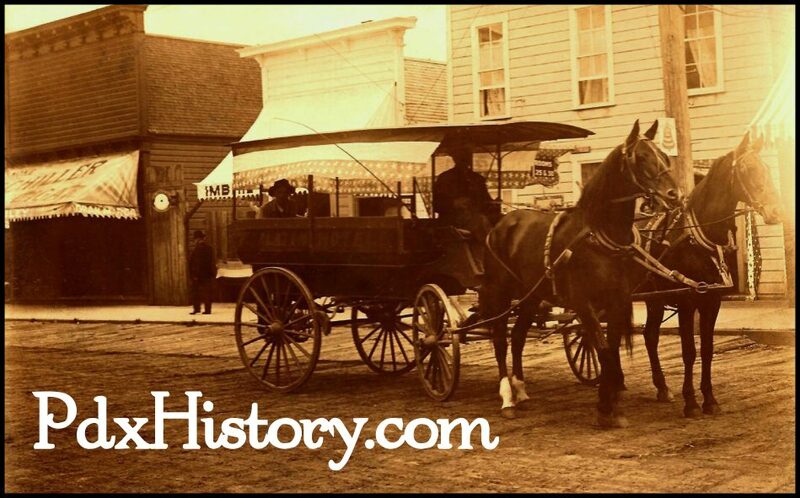 The first Oregon Electric Railway Car arrived in Hillsboro on September 30, 1908. In January 1914, the Southern Pacific Railroad introduced its own interurban service, known as the Red Electric, on a separate line and serving different communities between Hillsboro and Portland. 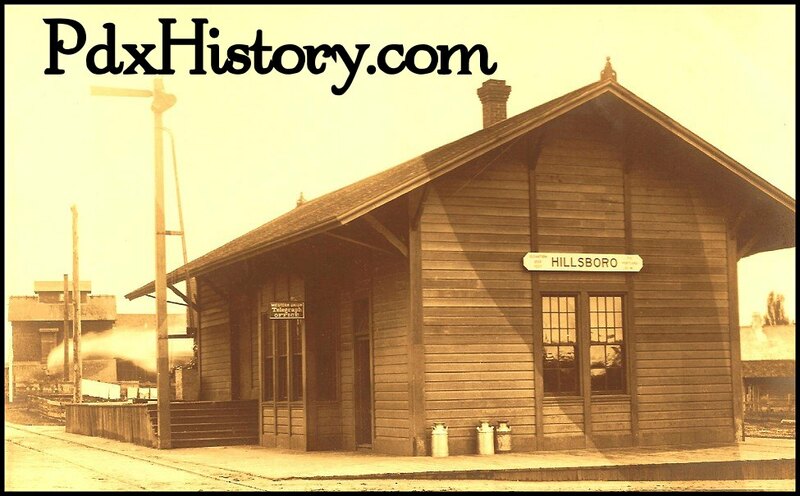 The Southern Pacific discontinued its Hillsboro service on July 28, 1929, while the Oregon Electric Railway's passenger service to Hillsboro lasted until July 1932. A view of Main Street in Hillsboro, Oregon looking east circa 1910. 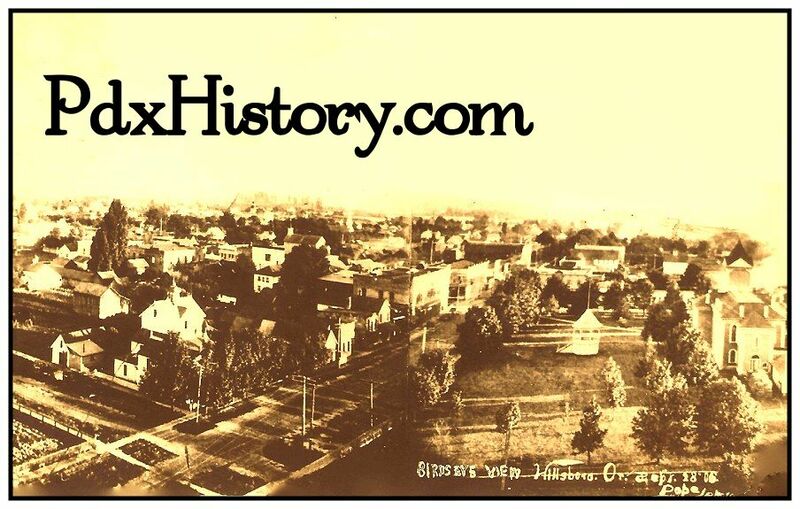 Hillsboro built its first sewer system in 1911, but sewage treatment was not added until 1936. In 1913, the city built its own water system and the first library, Carnegie City Library, opened in December 1914. 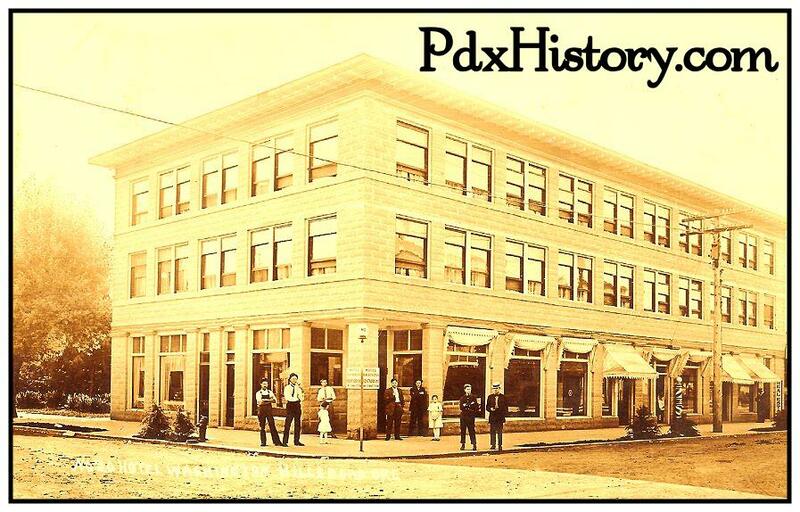 The Hotel Washington in Hillsboro, Oregon circa 1910. 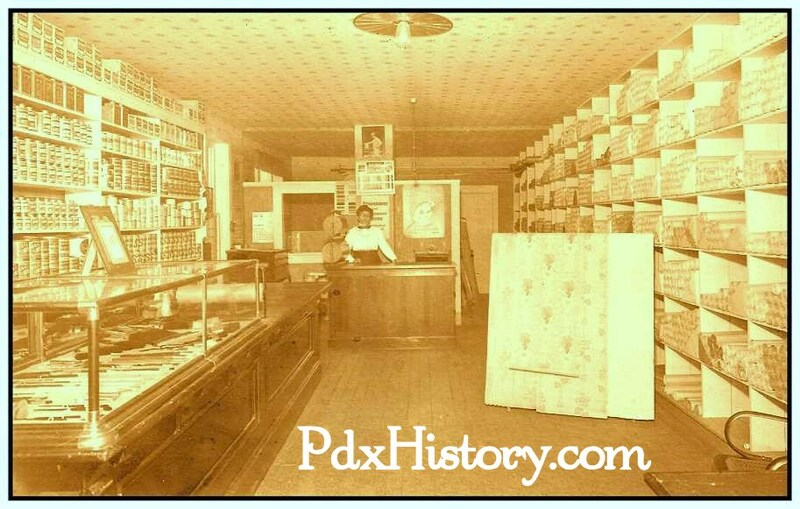 The interior of a Wallpaper and Paint Store in Hillsboro, Oregon circa 1910. In 1923, the city altered its charter and adopted a council-manager government with a six-person city council, a part-time mayor who determined major policies, and a city manager who ran day-to-day operations. A view of the Theater in Hillsboro, Oregon circa 1928. From 1921 to 1952, the world's second-tallest radio tower stood on the south side of Hillsboro, but in 1952, the wireless telegraph tower was demolished. Hillsboro has grown to become the fifth largest city in Oregon with a population of about 100,000 people and it is located in Oregon’s fastest growing county at the heart of the Silicon Forest, housing many high-technology companies.